DBS is a leading financial services group in Asia, with over 200 branches across 15 countries and covering 50 cities. FLI is proud to have been selected as the preferred partner to design and deliver the DBS High Potential Future Leadership program across Asia. FLI has custom built and delivered a series of accelerated learning programs incorporating workshops, internal mentoring, action learning projects and individual coaching for DBS Future Leader program. FLI is extremely proud to be helping to shape the leaders who will define DBS’s success across Asia over the next decade. Headquartered and listed in Singapore, DBS is a market leader in Singapore with over four million customers and also has a growing presence in the three key Asian axes of growth, namely, Greater China, Southeast Asia and South Asia. The bank’s strong capital position, as well as “AA-” and “AA1” credit ratings that are among the highest in the Asia-Pacific region, earned its Global Finance’s “Safest Bank in Asia” accolade for two consecutive years, in 2009 and 2010. DBS was established in 1968 as the development bank of Singapore. 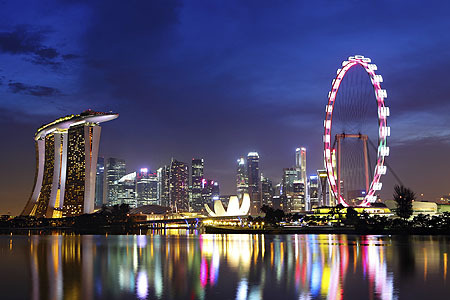 It was the catalyst to Singapore’s economic development during the nation’s early years of independence. Since then, DBS has transformed into a successful financial services institution, offering a comprehensive range of innovative products and solutions to meet its clients’ needs. As one of the leading banks in Asia, DBS also acknowledges the passion, commitment and can-do spirit in all of its 17,000 staff, representing over 30 nationalities. DBS is committed to empowering, educating and engaging their staff so as to build a high performance organisation renowned for its good customer service and innovative business solutions.